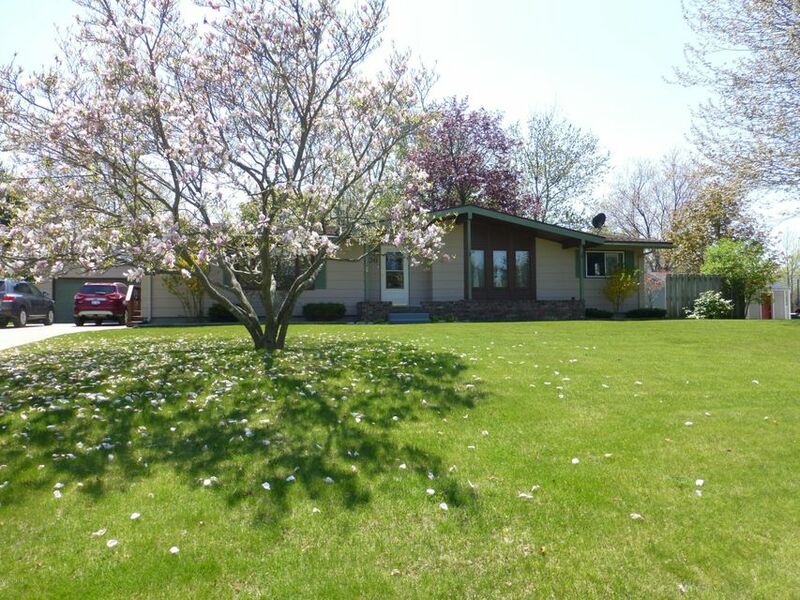 Appreciate all that this solid ranch home has to offer, main floor master suite, main floor laundry, great kitchen, dining with walkout to your back deck, double lot with wonderful shade trees and lots of privacy. Full basement is finished with a rec room and bar, full bath, plus a craft room and lots of storage. Detached 24' x 28' garage that is set up for wood heat. Wonderful family neighborhood close to the schools and hospital.